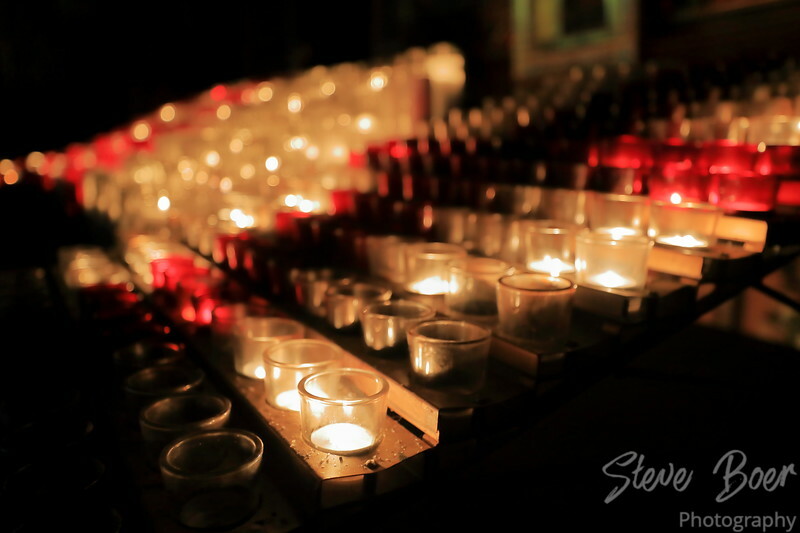 I haven’t been in very many Catholic churches, but there were a LOT of candles in this one. 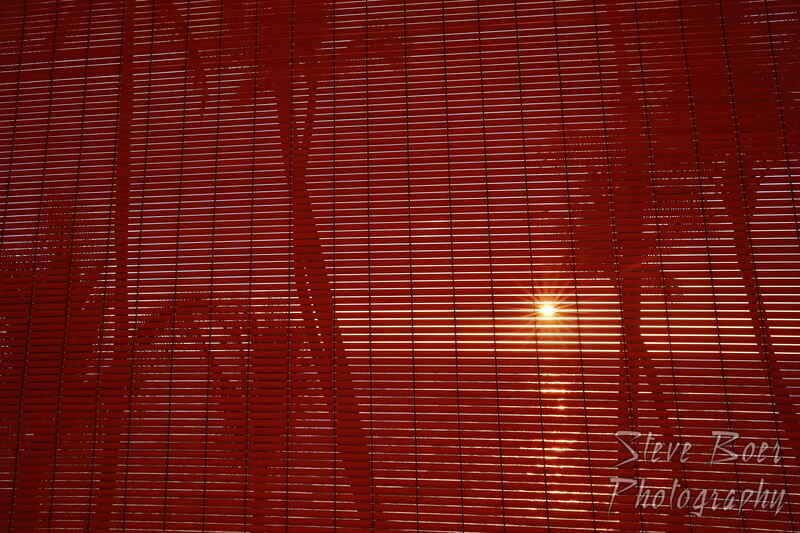 The Hawaiian sunset as seen through some roller blinds. I thought this made an interesting perspective and wanted to see if it would work as a photograph. Was able to get a nice starburst effect on the sun thanks to the blinds and small aperture. 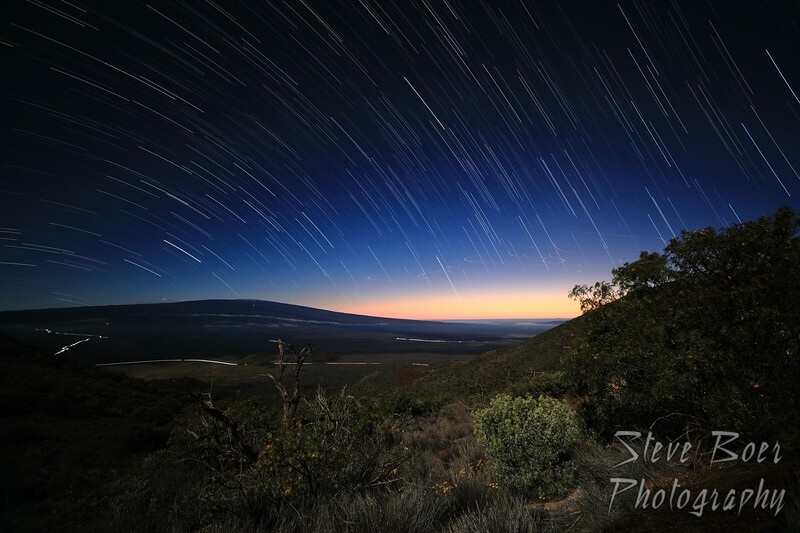 One of my favourite things to make, a star trail shot from Mauna Kea. We only went as far up as the visitor center, then hiked across the road to a spot looking over the valley with the sunset. 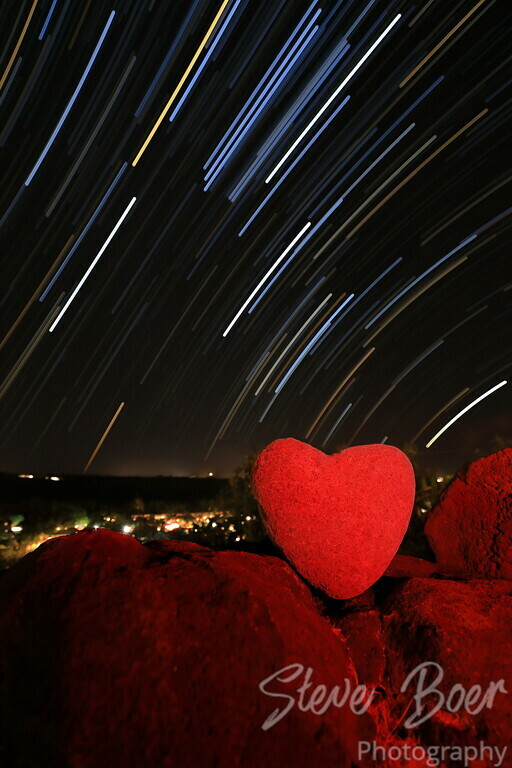 Spent about an hour with the camera there and ended up with this shot made from seventy 30 second exposures. 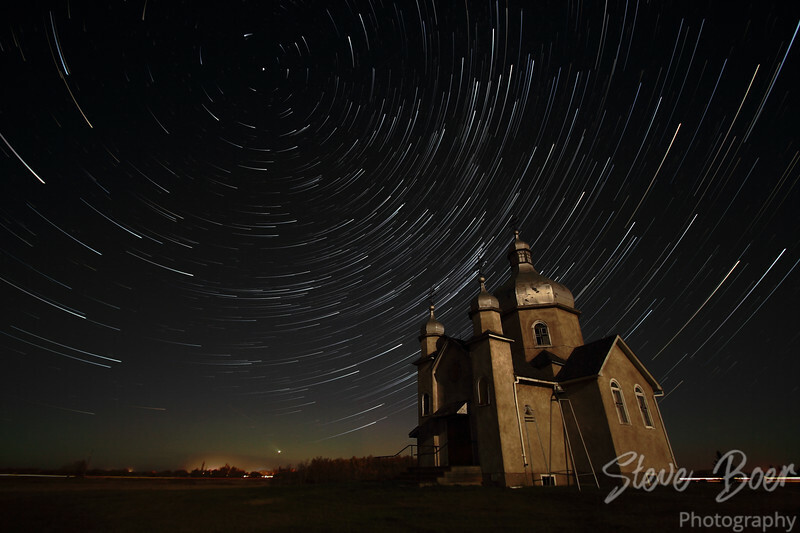 I was happy to also get the light trails from the cars driving up and down the road, as well as some cool airplane trails which you can see just above where the sunset was.